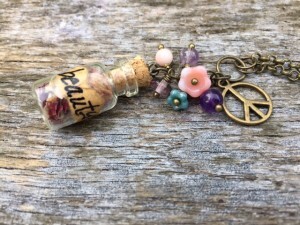 On September 27, from 12:30 – 5:30p, breathingmoment will be selling at the Ann Arbor District Library at the location’s It’s Easy Being Green: A Sustainable Expo. The event will feature a variety of sessions on green living, canning, beekeeping and more coupled with handmade vendors and food trucks! 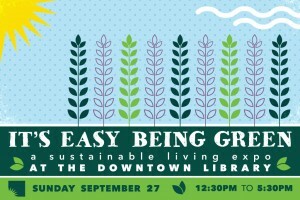 “It’s Easy Being Green is a day-long learning, local buying, and eating exposition celebrating living a life that’s better for the planet and not so hard on the wallet. From supporting efforts to reduce your carbon footprint to learning homesteading skills for living a more hands-on, DIY life, It’s Easy Being Green has you covered,” says the events website. Learn more: It’s Easy Being Green event. And, don’t forget to RSVP on Facebook. In recent years, I’ve become quite passionate about attracting butterflies and bees while providing a sustainable environment for these creatures. This has resulted in two abundant gardens filled with an array of colorful flowers and vegetables. 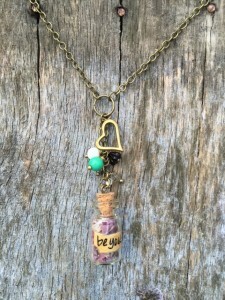 Late summer, as the plants begin to shed their petals, I collect organic goods to dry then place in my vial necklaces. 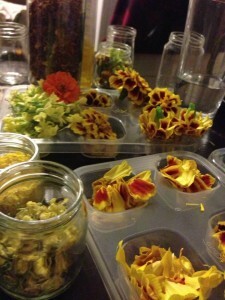 After collecting fallen petals, I let the them dry naturally in a well-ventilated container. I then take the petals, fill vials then determine which vials will have words adhered to them. 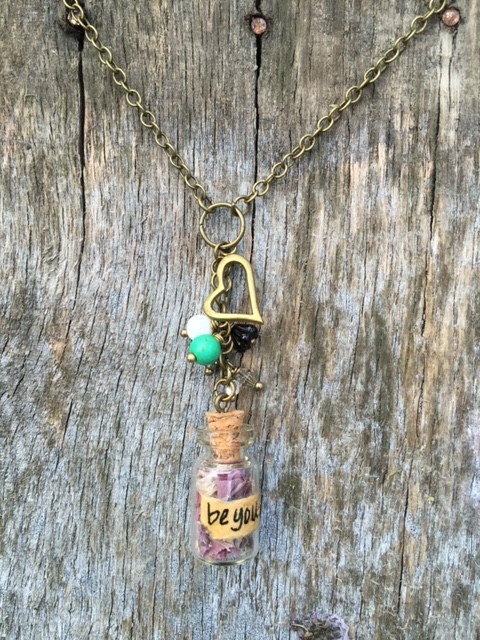 I typically make a wide range of vials during this process, bulking up my stock of vials so I have many options to pick from when I’m making new necklaces. From there, vials are accompanied with a collection of wire-wrapped beads and charms. 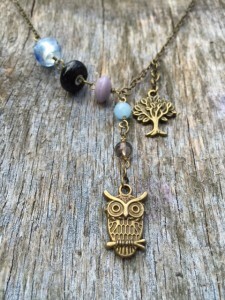 ← Detroit Urban Craft Fair – Here I come!